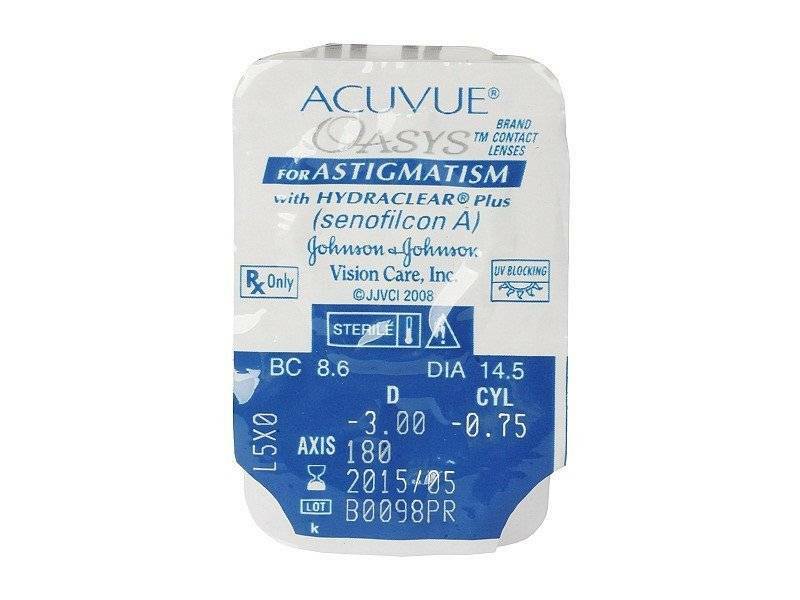 Acuvue Oasys Astigmatism - 6 lenses - Weblens - Your Contactlenses Online ! 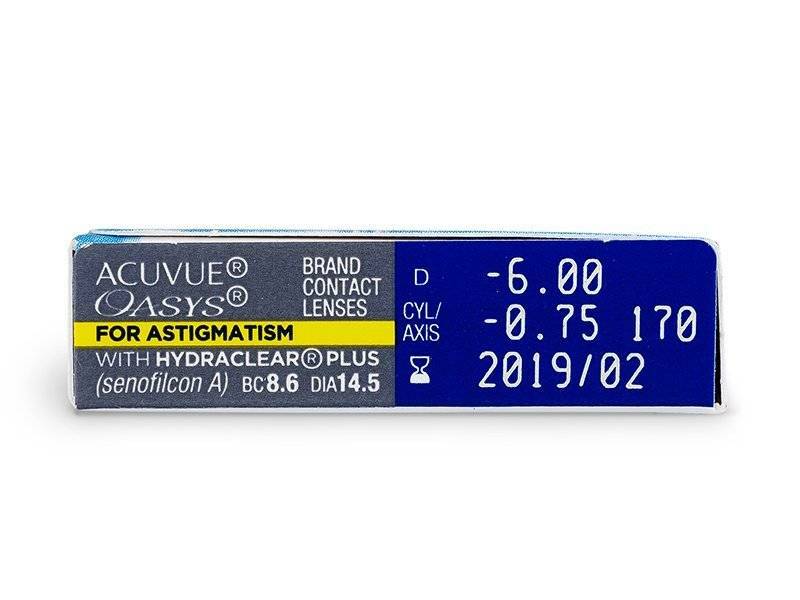 Are you looking for multi-day contact lenses for a sharp and clear vision with astigmatism, which way you move your eyes or head on? Do you often suffer from heated rooms or rooms where the air conditioning is on? 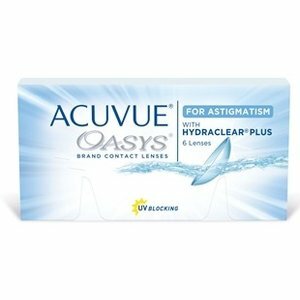 Then ACUVUE OASYS for ASTIGMATISM multi-day contact lenses are the right choice for you.The Accelerated Stabilization Design technology uses the natural movement of the blink of your eyes to hold the contact lens in place. This way you always have a sharp and clear view, wherever you turn your eyes or your head. Weekly lenses can be worn for 2 weeks during the day. 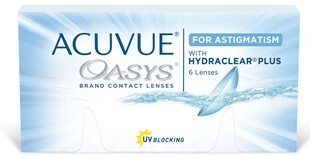 Acuvue Oasys is a silicone lens for people with astigmatism. Super comfortable, even for people with dry eyes! If you choose to wear this day & night the recommended wear time is 1 week. 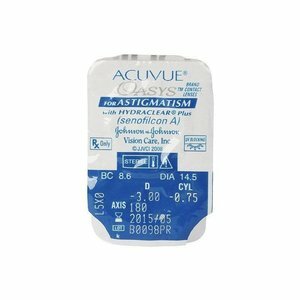 Acuvue lenses from Johnson & Johnson are super comfortable! Fast delivery, ready for 2-3 working days! in 1 woord, TOP ! Mijn vorige lenzen had ik constant problemen, deze waren direct goed!